Developed from the T-33 trainer as a result of an urgent USAF requirement for an all-weather fighter, the YF-94 (a converted T-33) first flew in 1949. 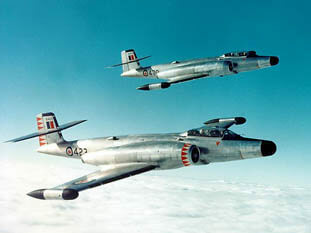 The first variant was the F-94A, which carried over 940 lbs of radar equipment. Approx 110 were built. 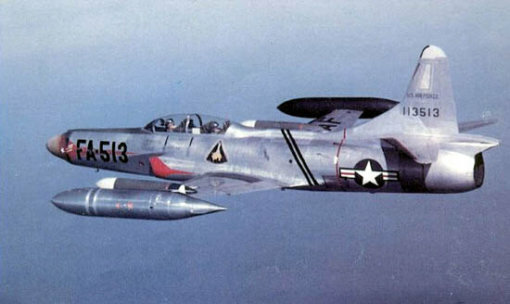 The F-94B was a development of the F-94A with improved electronic and operational equipment, and larger capacity wing tip tanks. Approx 355 were built. 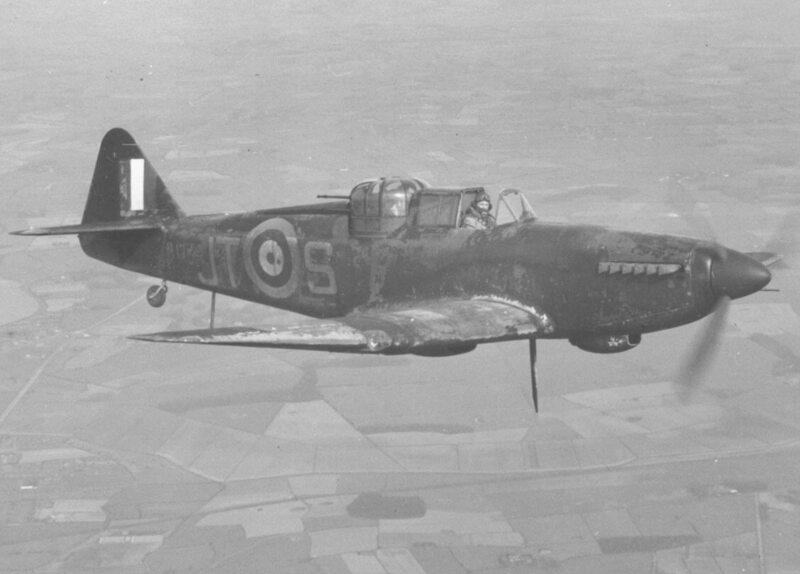 The final variant was the more highly developed F-94C. 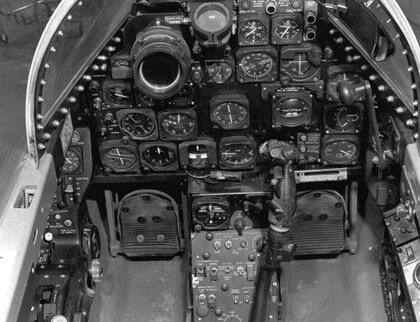 This used the J48 higher-thrust engine, a re-designed wing, sweptback tailplane, uprated fire control and navigation systems, and, later, mid-wing rocket pods. 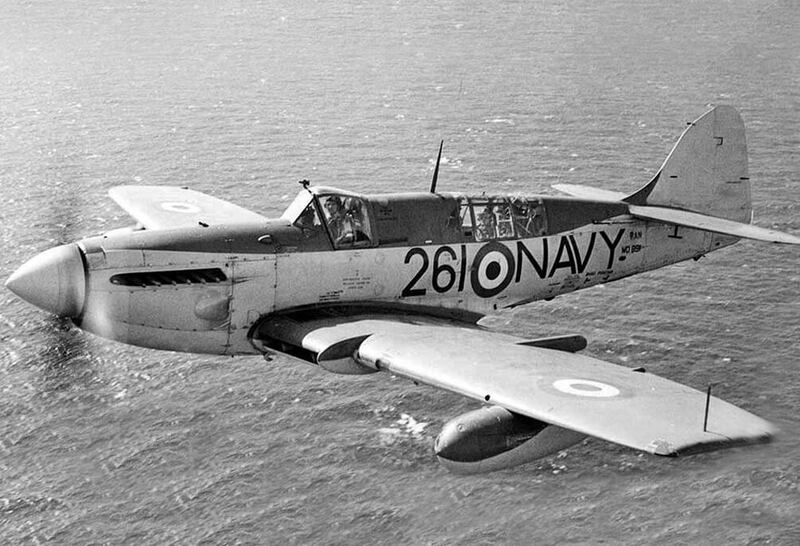 Approx 387 were built and they served until 1959. 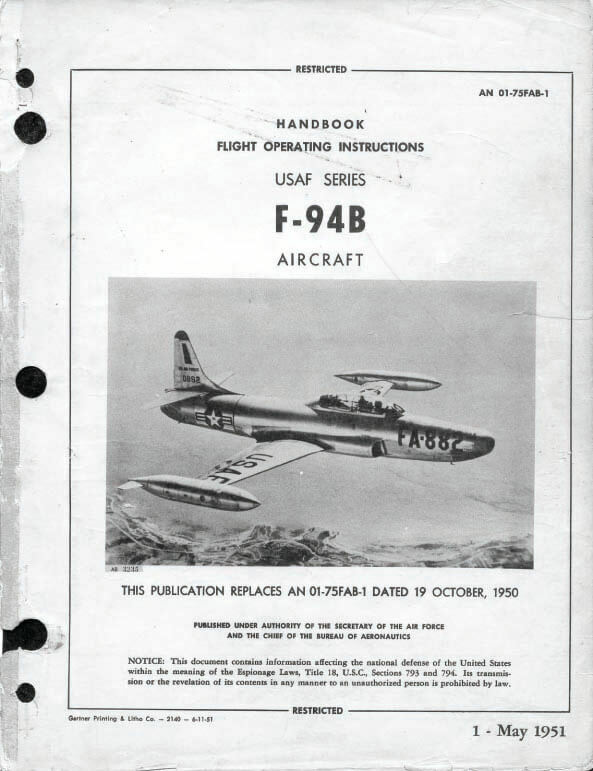 This title contains two flight manuals for the Lockheed F-94 Starfire. The files have been scanned from the original flight manuals and retain any colour pages. USAF Handbook of Flight Operating Instructions for the F-94B, AN 01-75FAB-1 dated 1-5-51, with approx 140 pages. 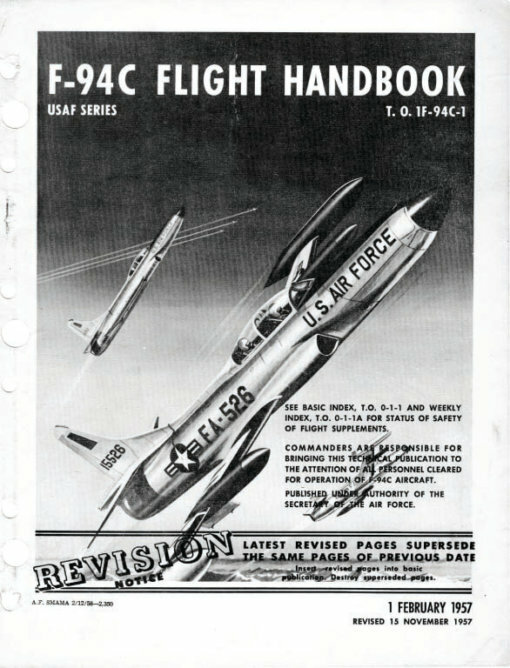 USAF Flight Manual for the F-94C, T.O. 1F-94C-1 dated 1-2-57 revised to 10-12-57, with approx 350 pages.